Very soon New York Avenue will provide DC residents and visitors access to retailers less than 10 minutes away from one another that would otherwise take an entire day to get to around the DMV. 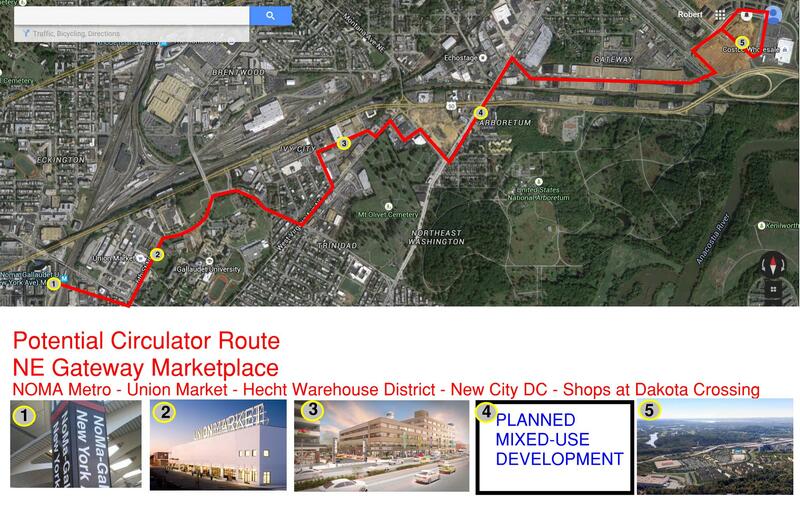 Costco, Dicks Sporting Goods, Planet Fitness, Nike Community Store, REI & Union Market can all be found along the same corridor in the city. So how do we connect all of these retailers and adjacent communities to Metro? Circulator! A circulator route would not only make it more accessible to local residents without the need to drive, it also has the potential to become a tourist destination once the developments are complete. Ideas proposed are my own and do not represent the ideas of all constituents or ANC Commissions. These are just ideas for discussion. Are there any recent updates on (4)? I can’t find any past Arbor Place falling through. There are ill see what information I can make public.